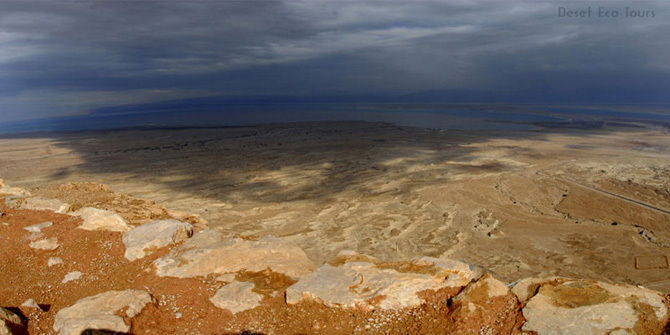 Desert Eco Tours - Tours to Dead Sea and Masada from Eilat. 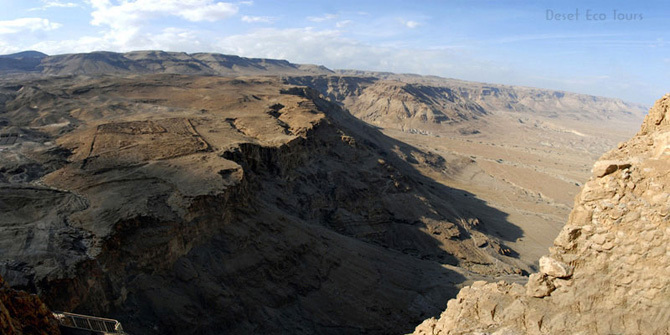 Ein Gedi, Judea Desert and Qumran, sightseeing and daily tours from Eilat. as ravine succeeds to ravine, each more forsaken and desolate than the last. We start our tour driving through the serene desert landscape towards the Dead Sea and the impressive ruins of Masada, spectacularly situated on the towering cliffs overlooking the whole of the Dead Sea area. We ascend by cable car and spend 2 hours exploring this magnificent site. Masada was originally the mighty desert fortress of King Herod and it was here, that the tragic Jewish stance against the Romans took place and ended when the Jews committed suicide within the fortress walls. Today Masada remains an important symbol for Israelis and Jews the world over and it is one of Israel's most visited sites. We descend Masada and enjoy lunch. Then it’s on to the lowest place on earth, The Dead Sea. The healing and rejuvenating properties of the Dead Sea draws visitors from all over the world. We visit the Ein Gedi Spa and get covered in the mineral rich Dead Sea mud and enjoy the spa waters. Of course we won’t leave the Dead Sea without enjoying a dip in the Dead Sea itself an experience unlike any other and an absolute must for every visitor. Relaxed and revitalized we conclude our tour and begin the drive back to our hotel. Price: 2 people- 730$ in total, 3 people 780$, 4 people in small car- 225$ p.p. in 7 seater- 255$ p.p. Visit two of Israel’s most famous areas natural beauty on this incredible one day tour. Explore the spectacular Ein Gedi oasis with its rich vegetation, indigenous wildlife and famous waterfalls. 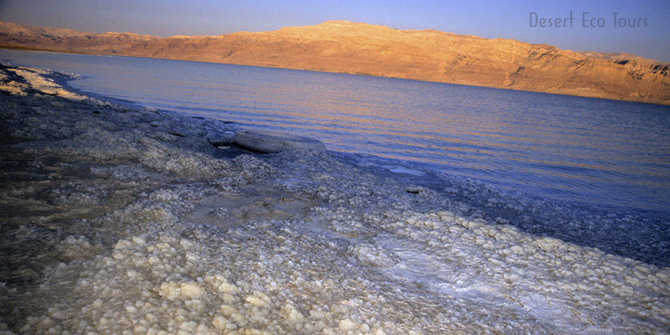 Tour the highlights of The Dead Sea. An essential ingredient in any trip to Israel, the tour includes bathing in the Dead Sea, basking in the healing mud and relaxing at the renowned Ein Gedi Spa. 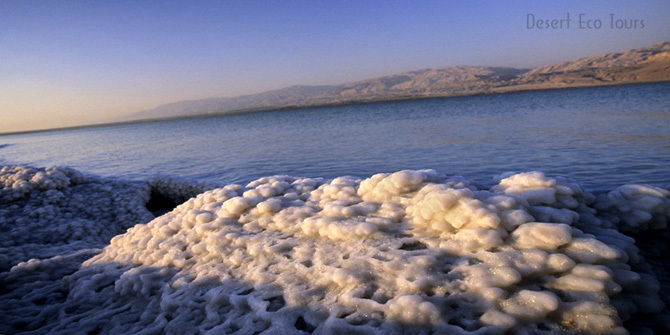 This full day Dead Sea, Ein Gedi tour departs early morning and returns by evening to your hotel. After lunch we continue to the Dead Sea coast. The Dead sea is the lowest point on earth and its enchanting scenery is unlike anything else on earth. The healing powers of the Dead Sea are renowned the world over and visitors come here from across the globe, not only for good health but also for the world-renowned Dead Sea mud beauty treatments. The beautiful desert scenery, superb views and serene atmosphere of the Dead Sea have attracted visitors throughout the ages. We spend the afternoon at the Dead Sea’s famous Ein Gedi Spa, situated right on the coast, we enjoy the spa waters, get caked in the Dead Sea mud and spend some leisurely time gently floating in the splendid turquoise water while taking in the spectacular Dead Sea scenery. As the sunsets over the Dead Sea we shower and dress before heading back to the vehicle our return journey to the hotel. Tour includes private guide and vehicle. Entrance fees and lunch are not included in the tour price. A visit to Qumran, the site of the Dead Sea scrolls can be included in the tour with advance notice.